“I know you have heard of autism. I know you may think you know what it means,” writes author Mandy Farmer in her touching book From Motherhood. The brothers’ symptoms are all different, and exhibit varying degrees of severity. “My oldest brother is non-verbal, blind and epileptic,” Carbone shares. 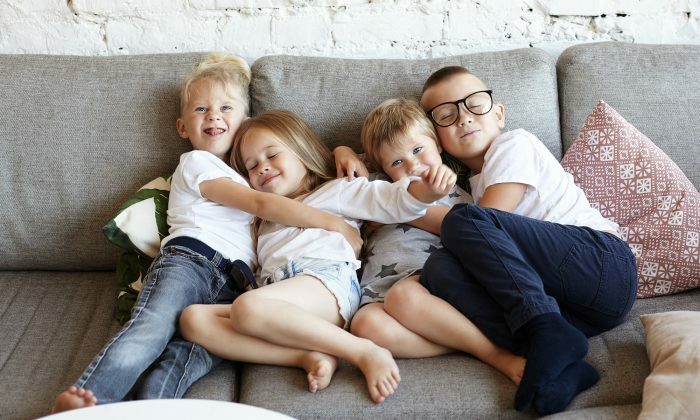 “My middle brother is verbal, social and suffers from severe OCD … My youngest is mildly verbal and hyperactive.” As such, their personalities differ hugely, too. Michael loves Disney. Anthony “quite literally thinks he’s Michael Jackson.” Luke is mischievous. The protective sister quickly learned to exercise compassion with her brothers, and that same compassion easily spread into other areas of her life. “I remember feeling like there was bigger meaning or purpose to my life,” she shares. Carbone also shared her story on Facebook in recognition of World Autism Awareness Day. Her post garnered an immediate response and an outpouring of support from other people affected by the condition in various ways. There’s always space for more compassion, and Carbone thanks her extraordinary family for nurturing hers.